Welcome to this week's Thursday Twister feature -- the place to answer the questions that nobody should ever ask. Are you a lover of louvers? Do you think that aerodynamics and cosmetics should go together like baking soda and Pepsi-Cola? Because today, we ask: what is your favorite factory louver equipped car? Automotive window louvers were all the rage back in the 60s/70s/80s before the magic of window tint meant you didn't have to put some giant piece of plastic over the back window of your fastback. 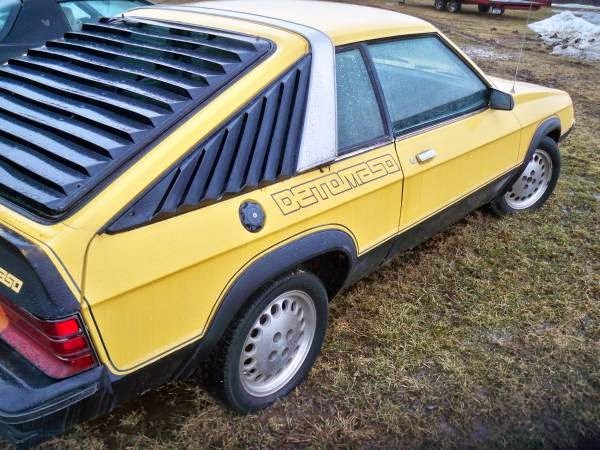 There are certainly prettier cars equipped with louvers, and prettier louvers equipped on cars...but nothing is as covered with window louvers as the bizarrely named DeTomaso Dodge Omni 024. What do you think is the best looking most awesome louvered car? Comments below. Can't argue with a louver equipped 69 Mustang! Always liked the simple elegance of the side louvers in a 450 SLC. Alfa gtv6 or lotus espirit. Though I think the alfa was a dealer installed option, and then as I am typing this the bmw m1 springs to mind. Ferrari 308 is covered with louvers, front and back. Not our family car, but similar. Of course the Plymouth Arrow was really just a re-badged captive import Mitsubishi Lancer Celeste, which itself was clearly styled to resemble an Alfa Romeo Alfetta GTV. Inspired by the Italians, powered by the Japanese, sold by Chrysler. It should be no surprise that the wonderful Mitsubishi engine ran like a top whilst the remainder of the car disintegrated in 4 years flat. Not kidding -- we kept it in a heated garage, and yet by 1982 every body panel was perforated with rust, the leading edge of the hood had completely evaporated, and the only thing that still really worked properly was the engine. Still, it was a wonderful fun car while it lasted. Oh good grief, my deepest apologies about the size of that image. If a moderator can fix it (shame we cannot edit our own posts) I would be grateful. Or delete it if you must. Don't worry about the size -- I could delete the comment on re-insert it, but I like how that thing takes over the page. Sorry guys, I have to do it. I would risk a trip into the wilds of Mordor to toss those rims in the fiery mouth of Mt. Doom, but the rest of the car just needs proper springs and stock tail-lights...hey, when did I become such a carmudgeon? Sheesh. 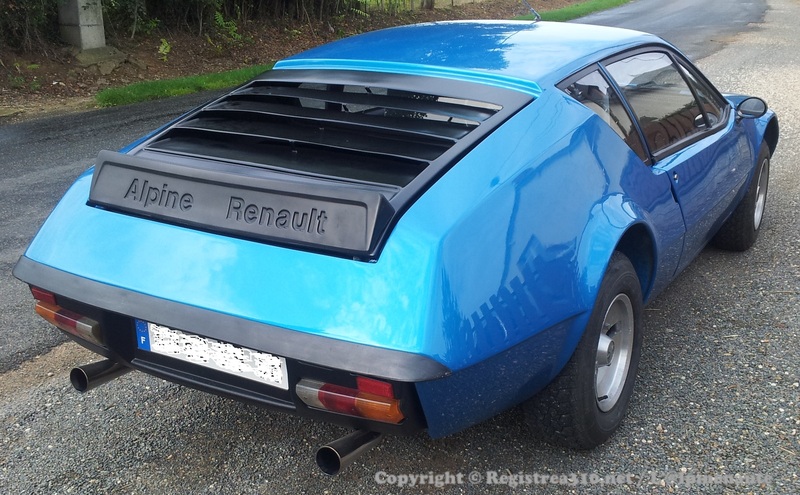 Nice louvers, could you get those from a Volvo dealer when new? Yep, they were an OE / dealer accessory. I had louvers on the rear of my otherwise tasteful 87 CRX Si. They looked . . . not great. Which put the Alfa V6 in the back seat of the Alfasud Sprint. Never "came from the factory," as it never went past a few concept cars. But all the glorious mid eighties style points, from the boxed flares to the louvres to the gold wheels. They aren't over glass, but my favorite louvers have to be the ones on the Jag E-Type. I think I keep forgetting about that omni/charger/detomasso mashup because it just hurts my eyes. But my favorite louvers would have to be Datusun's b210. We had one when I was really little, and it was mostly rust by then, but the louvers were kinda cool!